Dr. Meenakshi Bhagali, Hon. President (2014-15) Poona Ophthalmological Society. Studied at Balmohan Vidyamandir, Dadar. Stood 1st in merit list of 11th SSC. D.O.M.S, M.S. (1980-1982)- Stood 1st in both. Won prize at Mood Indigo, IIT Powai, in painting competition. Worked as souvenir coordinator in1990. Training in Eye Banking, Diabetic Lasers, Refractive Surgery. 1st doctor in Pune to start Orthokeratology. 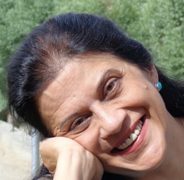 Dr RiddhimaBhagli-Consultant at Narayan Netralaya Bangalore. Ritika Bhagli -Architect (NID Ahmedabad). Arun Tirlapur- DM Nephrology in Bangalore.